Red Mars, the first book of the Mars Trilogy by Kim Stanley Robinson, is a realistic science fiction novel set later in the 21st century. Where has this book been all my life? Or should I ask why I hadn’t read it earlier? Having a degree in astronomy and physics, this should be right down my alley. I love planetary science, and the exploration of the solar system is a big interest of mine. Basically, this novel is like a textbook for the colonisation of Mars. There’s a lot of science, but that’s not all. There’s politics, philosophy, psychology, romance, extremism, and revolution. It starts out somewhere in the middle of the book, then goes back to the beginning, on the way to Mars. 100 people were sent to Mars to settle it. On Mars, we could read about how the colony was set up, how the people interacted, and how the colony grew over a span of several decades. The story focuses on prominent members of the first hundred. Frank and Maya are the American and Russian leaders of the colony, John is the first man on Mars, Arkady is a very colourful Russian engineer, Nadia is a workaholic construction specialist, Ann is a very opinionated geologist, Sax is a very serious and closed scientist, and many more. Each section focuses on a different character as we get in their heads, figure out how they think, and see what life on Mars does to them. There are vastly different ideologies among the first hundred, some are for terraforming, others are against. This creates the greater part of the conflict on Mars, but there’s a lot more to it than that. The characters really make this a joy to read. I really liked John and Nadia, while I despised Frank. But overall, the whole cast of characters makes this wonderful to read. Mars itself is described in so much detail, I felt like I was there. I felt like I was with the characters, actually living there. Robinson uses a lot of technical and scientific language, so if you’re not used to these terms, it may be a bit difficult to read. It’s not an issue for me, though. It added to the experience. I loved seeing how Mars changed over the decades while the characters grew from middle-aged to elderly. Everything changed. I learned that although I got attached to a lot of the characters, some of my favourites died. Major characters died, and it just increased the drama. I couldn’t be too sure about who was going to die next. It was pretty unpredictable. I wasn’t able to figure out what was going to happen next. I couldn’t wait to see what happened on the next page. Loved it! I’m glad to finally have read this book. I can’t wait for the next one. Highly recommended! This deserves 5 out of 5 stars. I think the Mars trilogy is amazing. I haven’t been able to read another (hard SF) Mars story since. 2312 is also great, for many of the same reasons. I have another Mars story to read, one by Ben Bova. But I’ve pretty much heard that the Mars trilogy ruins Ray Bradbury’s Martian Chronicles for readers. You won’t be sorry, I think. But it does take some effort to read, considering how technical it is. Thanks. Blue Mars is number 3. Considering you want to study astrophysics, this may be fun for you to read. 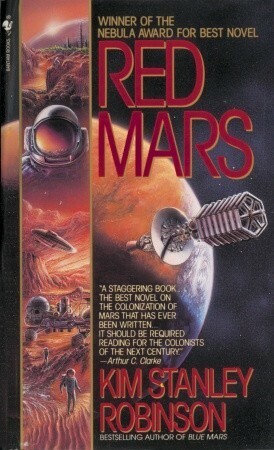 whew, just finished Red Mars…could of been 3 books in itself. I have Blue on shelf, but might do some lighter reading first. That book took a lot out of me. It was good but HUGE. I need a break. 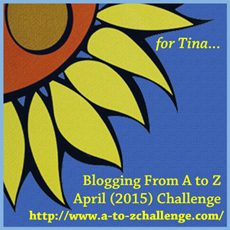 (probably start Blue tomorrow)! You may want to read Green Mars first, since that’s the second book. Blue Mars is the last one.